Omobio (Pvt) Ltd is a Sri Lankan corporate company established in February 2011, built on a strong foundation of values and ethics. Omobio has been able to expand its customer base to several other region of the globe within a very short period of time. Omobio currently has solutions deployed in Sri Lanka, South Asia, Middle-east and African Regions with operators who own large market share. To provide world-class solutions to customers, Omobio has partnered with internationally recognized business partners from number of region throughout the globe. 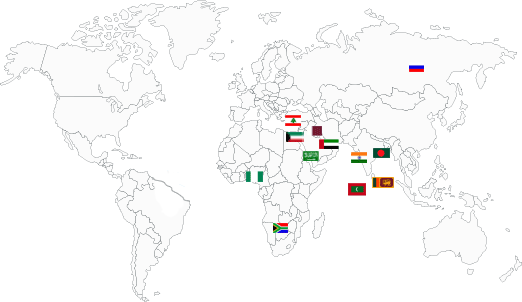 Sri Lanka, India, Bangladesh, Dubai, Kuwait, Saudi Arabia, Russia, Africa, Maldives, Qatar, Lebanon Nigeria. Enrich the society with the best enterprise solutions and provide personalized information to the finger tips through innovative communication channels. Omobio has been able to expand its customer base to several other region of the globe with operators who own large market share. Be the recognized leader in all markets we serve. Be a customer focused organization that provides a one stop total solution. Build endeavoring relationship based on trust with our customers and partners. Generate shareholders value by sizing opportunities in Asia Pacific and other selected regional markets. Be the employer of choice that inspires performance excellent. Exponential growth of the market share locally and internationally. First choice of the local Telecom operators for innovative solutions. Over 100 years of accumulated industry experience. Why you should consider Omobio?